This was a solo show as part of BOAA 2018 (The Biennale of Australian Art), the largest ever showcase of living Australian artists. Perspective was a video projection and still images. “Perspective” was a reminder to myself. In a world where everyone is shouting from social media about their highs and lows, I feel at times we lack the slow steady pace of consistency. The creation of this work was as much a challenge for myself as I asked of the viewer in watching. 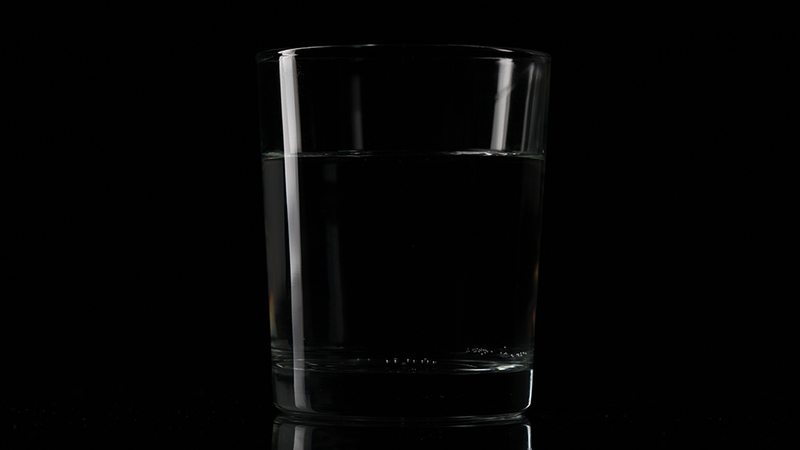 The projection seems as though nothing is happening, yet one drop at a time, the glass fills without seeing the droplets enter. In creating this work, each of the 5379 drops it took to fill the glass reminded me that calm does not mean stagnancy as much as turbulence does not mean progress. The apparent stillness of the video was actually movement and the turbulant images on the wall were frozen in stillness.